I had a unique opportunity this morning when both of my kids got up at 5:00 am to do a little quilting. I don’t know why they woke up so early, but it got us all off to a good start regardless. I feel much better now that I have enough units to throw up on my design wall. As it progresses, the blue patches will be more dispersed. 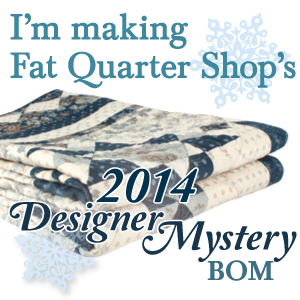 I only want to have a hint of them in the final quilt result. I may even decide to remove them completely. Not quite sure about them… Or move them to a border treatment… hmmmm…. My intent is to piece a School House in the center of the quilt, to celebrate Dr. Black’s 18 years with the school. 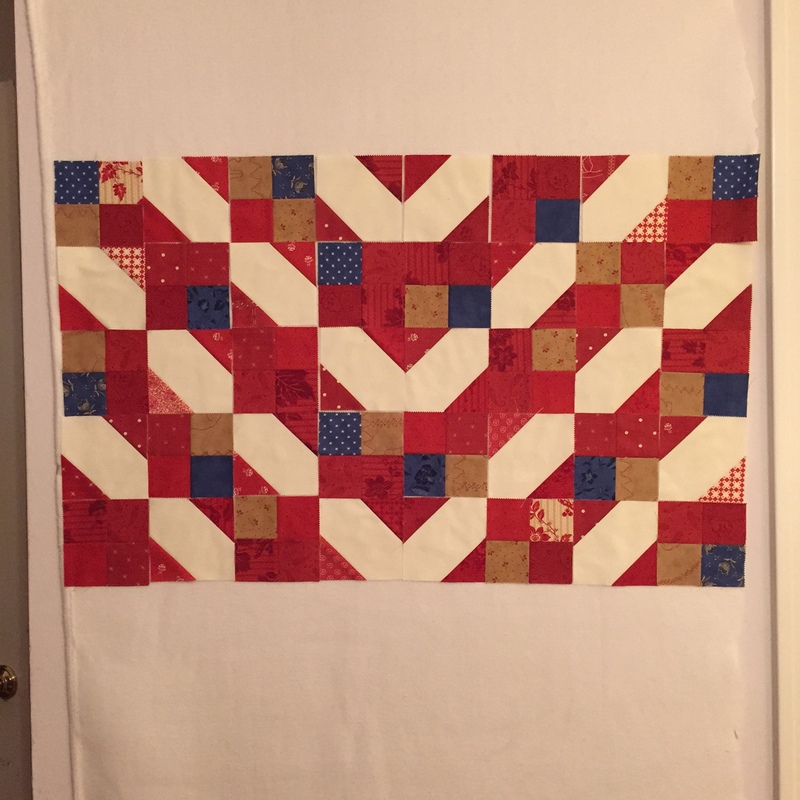 Got to find me a good block pattern, which I know there should be plenty on Pinterest. 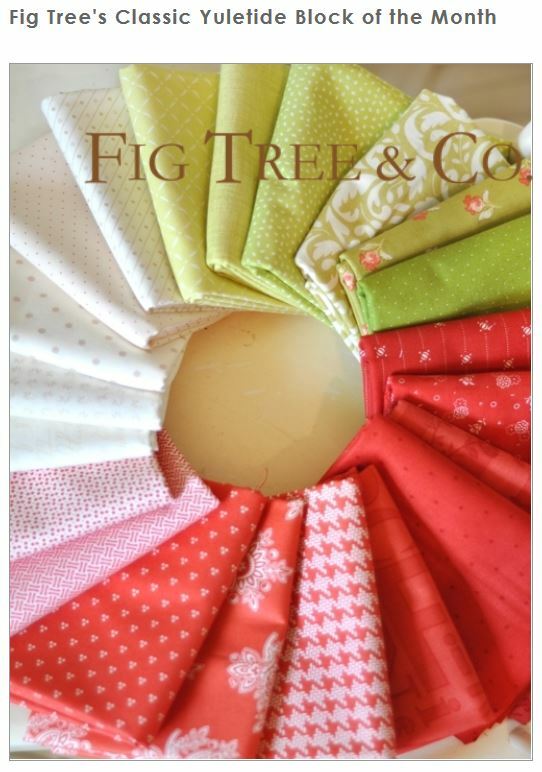 The other splurge (in advance of my birthday next week) is to enroll in Fig Tree Quilts newest BOM program! This is my birthday gift from my husband. I sent this picture and told him to print it off and put it in a card for me. Last I saw, there were a few spots open through their Shop/Website. Thankfully, there is no homework to mess around with this weekend. It should be all smooth sailing with the kids and perhaps a birthday pedicure with my Mom tomorrow! Have a great weekend and see you on the other side!